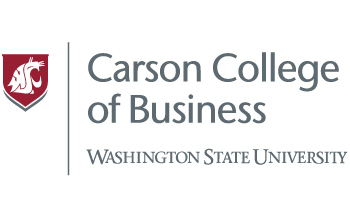 PULLMAN, Wash. – The Carson College of Business will offer “Finance Professionals Night,” a free panel presentation open to the public, 5-6:30 p.m., Thursday, Sept. 14, in Todd 276. PULLMAN, Wash. – When bank loans aren’t an option, small business entrepreneurs often turn to private funders, including friends, family and private investors, for help. VANCOUVER, Wash. – The Tod and Maxine McClaskey Foundation has given $2 million to establish an endowed chair in School of Hospitality Business Management in the Carson College of Business at Washington State University Vancouver. 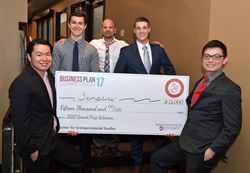 PULLMAN, Wash. – Over the weekend, WSU’s top 24 student venture teams displayed their innovative products and services at the 15th Annual Business Plan Competition hosted by the Carson College of Business, with the top team pulling in a cool $15,000.